Learning how to find a good preschool for your child can become daunting when looking at what may seem like endless options. This is the beginning of your child’s education and the foundation for their future. While choosing a preschool seems hard at first, Parkland Children’s Academy has set up a simple set of guidelines for researching schools that will quickly filter out schools that don’t fit your criteria, whilst revealing schools that will suit your child. Keep in mind that enrollment deadlines are early, and nicer schools tend to fill up fast! When looking for a preschool ask yourself what physical priorities are important to you – such as location, travel time, and cost of tuition. Finding schools that fit into these priorities will already narrow down your list to a more manageable number. Another priority to keep in mind is what the school stands for, and whether their values match your own. Do you want a preschool with a specific faith, and do they affiliate with communities that you or your child would like to be a part of? Even if they are a bit further away, they may be worth looking at. Other priorities to keep in mind are what activities are offered, if there is bus transportation, and what aspects the curriculum is centered on. When visiting a preschool be aware of how the teachers interact with the children. Are they friendly, do they encourage them to speak, and most importantly – are the children treated with respect? Listening to the language used by the children and teachers will help you hear what kind of relationships they have with each other. Look at how the children play, and whether the teacher-to-child ratio is adequate for the teachers to give their attention to each child. Make sure the teachers are qualified and have experience, and don’t be afraid to ask what the turn-over of staff is like. Your child needs to be in a space where they can form strong relationships that they can rely on for the duration of their education. A good preschool will place importance on the parent’s role in their children’s education. They will encourage the parents to build a strong relationship with the teacher, which will enable communication to discuss your child and their progress. This allows you to keep track and it enables the teacher to speak up if something goes wrong. This communication is generally kept up through daily notes, parent conferences, bulletin boards, newsletters and phone calls. Another indication of a good preschool is when the teacher knows your child well, and you can approach them at any time to speak with you about them. Some preschools also allow parents to join in on lunch, day trips, and parties so that they can be a part of their child’s day. When researching preschools make sure to look at what curriculum they follow and how much importance they place on it. You ideally want the preschool to follow a specific philosophy model based around creativity and growing your child’s mind. Look at whether they follow the guidelines of their curriculum strictly and what activities are part of such a curriculum. A balanced curriculum that offers creativity as its core helps build the flexibility of your child’s mind and stimulates their thought processes. Remember that these are all the building blocks of your child’s education, you want them to have the best exposure they can to open thought and hands-on experience in order to fully explore the range of their abilities. Looking at the discipline in a preschool can be a good indicator of the standard of teaching they have. When visiting, look around at the rules on the walls and safety measures in place. Do they emphasize following class rules, keeping things clean, and staying safe? 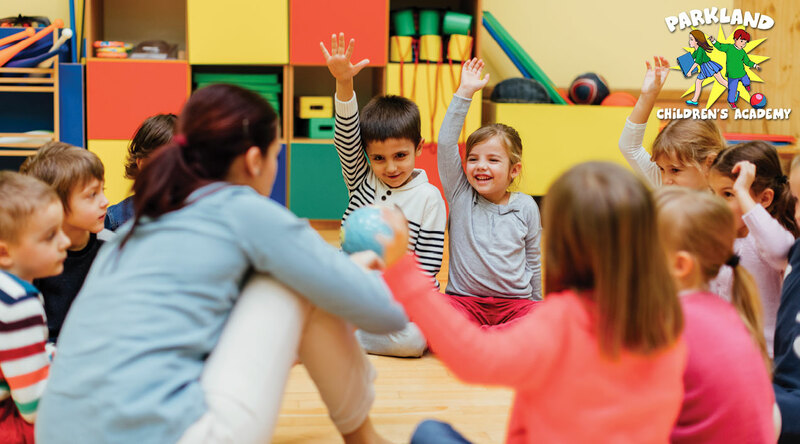 A good preschool will teach children behavior management like following class rules, keeping routines, have socio emotional lessons and a strong curriculum. An emphasis should also be put on dealing with punishment in a way that encourages better behavior in the future, rather than strict punishment that does not teach a child why what they did was wrong. Also take note of the space your children would be learning in. Is it light and spacious? Is it organized, and do the children have designated areas for play? An organized space that encourages creativity and movement will be beneficial to your child’s day, just as much as your own working space affects you. 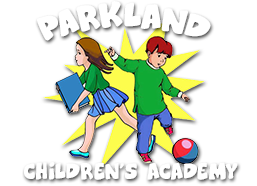 Parkland Children’s Academy offers a virtual tour online that allows you to see the classroom before you even visit, allowing you to get a feel of their classroom and play area. By knowing what to look for, the challenge of finding a good preschool is made easier. Think about what is right for you and your child, and see if the preschool lives up to these values. Once you have gone through your priorities and visited the school, be aware of whether it feels right for you, trust your gut feeling. Ask yourself whether the preschool lives up to a standard that prioritizes your child’s future and their learning. These are the markers of a good preschool, and the beginning of your child’s education.